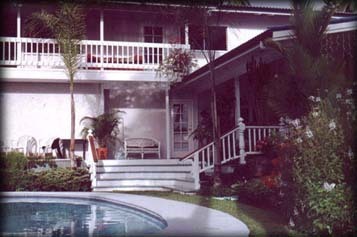 The Orchid Tree Bed & Breakfast is located just minutes from downtown Hilo, on the old scenic route, at Alae Point. We offer a unique lodging experience. You will enjoy the privacy of a six hundred square foot suite with private entrance and private access to our large covered lanai, swimming pool and Jacuzzi. Walk across the street to Honolii Beach where surfers and swimmers enjoy the gentle rollers under the watchful eye of a county lifeguard. Or explore the river where waterfalls plunge into clear swimming holes. Maybe you're feeling lazy...why not just sit on the lanai with a cup of Kona coffee and watch the whales play in the blue Pacific. It's up to you, at the Orchid Tree you are in the perfect location for a real Hawaiian experience. 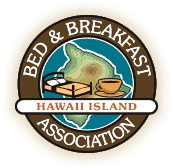 After a lovely breakfast of fresh local fruit and pastries, juice and coffee, you may want to head out for a day of East Hawaiian adventure. 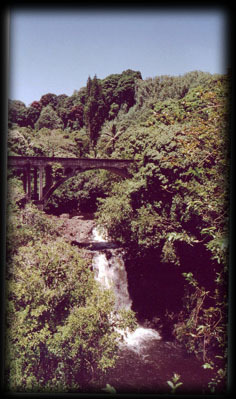 Head north to Waipio Valley (50 minutes) or Akaka Falls (15 minutes). Turn south and head for Volcanos National Park (45 minutes) or out to Lower Puna and the famous Red Road where the coast is graced with hot ponds and fields of coral (40 minutes). No matter which way you turn, getting there is half the fun as you travel through the breathtaking beauty of east Hawaii. This area is rich in Hawaiian history and geology. We can show you the way to a memorable vacation, in an area that most tourists will never see. Early risers can visit the fish auction with all the excitement of the fresh catch...truly a local experience! For the true adventurer...Molten Lava flowing into the sea! Yes, we can show you the way. 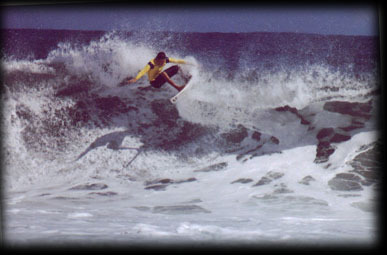 With thirty years experience in East Hawaii we know what's hot. Whether you are hiking through lush botanical gardens or swimming through ethereal coral gardens, whether you choose bird watching in a tropical rain forest or monkey watching at Panaewa Rainforest Zoo, we are sure you will never have a dull moment on your visit to the windward side of the Big Island. Downtown Hilo is a jewel of a town nestled on the shores of Hilo Bay; a bay that cruise ships from around the world are only just discovering. Here you will find excellent dining, music, golf and tennis, water sports, movies and museums, a modern mall as well as local arts and craft fairs. Hilo can boast of having one of the great farmers markets (according to Sunset Magazine) and many fine artisans have relocated to East Hawaii for the creative climate of this beautiful city. For a great view of Hilo, with Mauna Kea and Mauna Loa as a backdrop, we suggest renting a kayak and exploring the bay and local coastline. 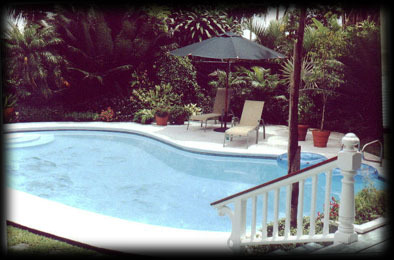 Amenities: Phone, DSL/Wireless Connection, Cable TV, VCR, CD Player, Refrigerator, Linens provided, Private Hot Tub, Private Pool, Charcoal Grill (BBQ), Pets NOT allowed, No smoking in room please...Smoking allowed on large covered lanai. 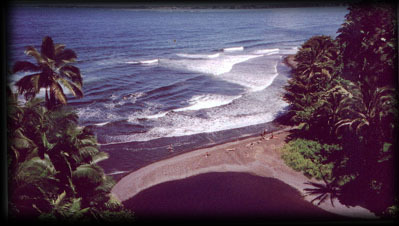 Activities (on site or nearby): Surfing, Hiking, Windsurfing, Botanical gardens, River/waterfall exploration, Lava/Volcano adventures, Personalized 4-wheel drive tours, Farmers market, Arts & craft fairs, Snorkeling/diving, Rock Climbing, Spelunking, Biking, Golf, Tennis, Fitness Center, Fishing, Hunting, Wildlife Viewing, Horseback Riding, Shopping, Restaurants, Cinemas, Museums, Sightseeing, Swimming, Boating, Sailing, Shelling, Rainforest Zoo. Above rate is for double occupancy and includes breakfast. 25% deposit required (check or money order)to hold reservation.